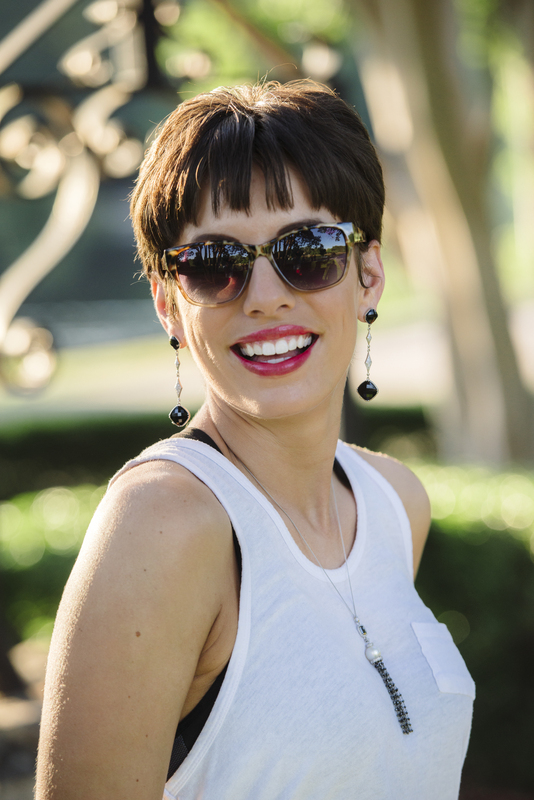 My second look featuring more charming pieces from Hale’s Jeweler’s is super casual & fun. 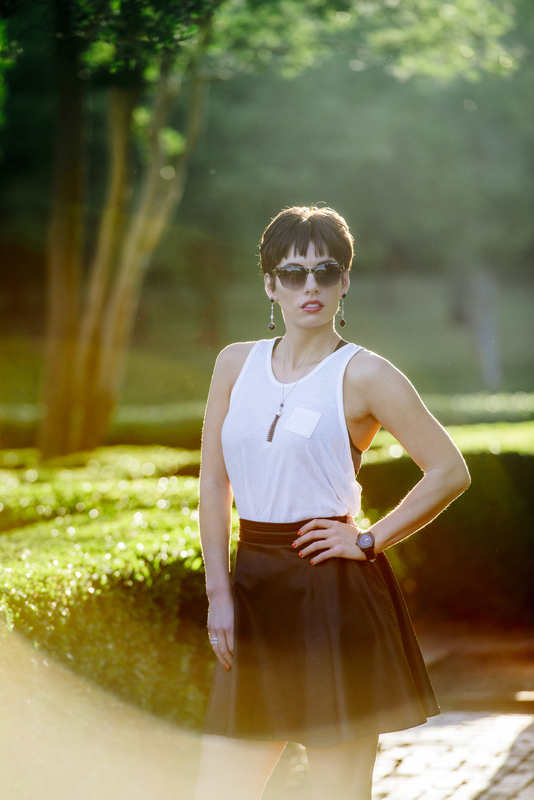 I am a huge fan of razorback tanks (There are at least over 8 different styles in my closet! <3 ) paired with leather skirts/shorts. So easy & fashionable! Also, I look for just about any excuse to wear a sports bra (underwires are no fun all day…), so these tees are the perfect choice for me during hot Summer days! Finally, I kept this ensemble simple with sterling silver jewelry & a subtle pop of color with a red pump. When in doubt, keep it simple…& black! 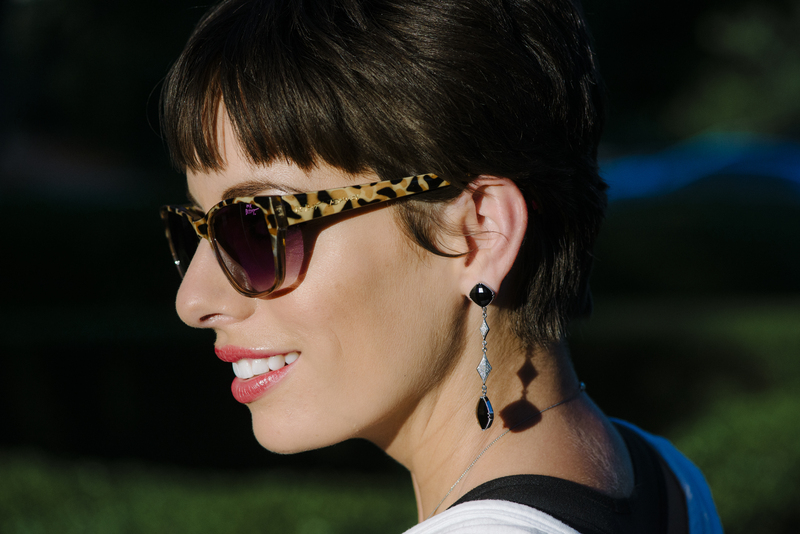 These Tacori black onyx earrings with 0.31 ct diamonds are absolutely stunning! 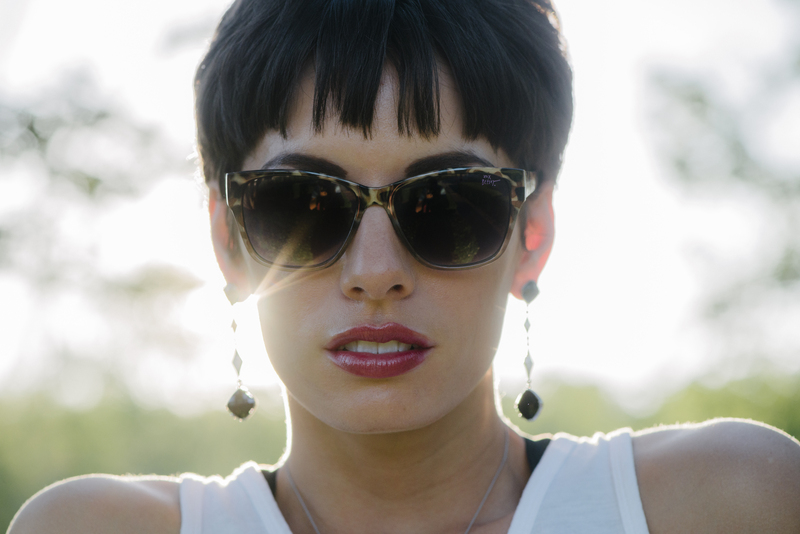 I’m not a huge fan of ostentatiously large earrings (especially with my short pixie cut), so these beauties make the perfect casual chic statement with this “rockeresque” look. A gorgeous Marco Moore ladies timepiece is a great addition to this ensemble ringing in with 1.73 ct black diamonds. My fresh manicure also had great company in this look being paired with a black & white diamond ring (1.7 ct diamonds). I’m seriously obsessed with this ring… It is absolutely beautiful & looks fab paired with literally everything! (Dear Future Husband… <3) Finally, we added a Tahitian pearl & black diamond tassel necklace to keep the lines vertical & add a bit of separation from the simple white tee from Revolve Clothing. While my Kate Spade skirt gives this look a youthful flare, these fiery red Jimmy Choo pumps are the mark of a woman in power with incomparable style… Add a red lip stain by Younique & Betsey Johnson sunnies, & you are good to go! That is a great list. I got that book too and found it really usfeul. It definitely formed some of my blogging goals that I have been working on for a few months now. I didn’t really make any new year resolutions but when I read other peoples I keep thinking perhaps I should stop being so lazy and get on and make some.